About the William Mark Corporation - WMC Toys - William Mark Corporation - Feisty Pets, Air Swimmers, X-Zylo and more! 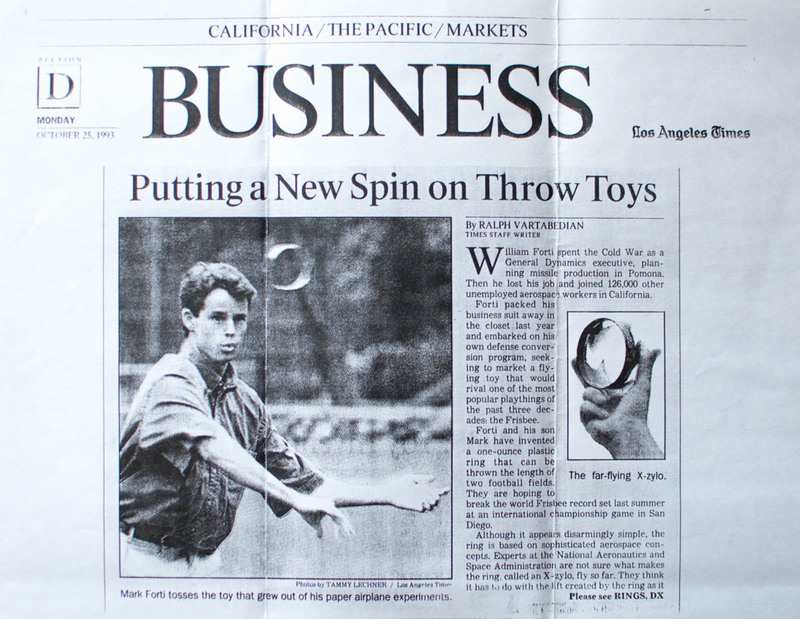 The William Mark Corporation (WMC) was founded in 1991 when Mark Forti invented its first flying toy: the X-zylo flying gyroscope. A junior at Baylor University, Mark should have been doing his marketing homework, but instead he was playing around with different flying wings and other airfoils when he stumbled on a cylindrical wing that flew unusually well when spun. Mark took the wing to his physics professor, who was greatly impressed by its unusual flight and could offer no explanation as to how it flew. Mark decided to use the concept for his marketing project—and got an A+! Mark then took an X-zylo prototype to his father, Bill Forti, then an executive at General Dynamics. Bill couldn’t explain how the X-zylo flew, and none of his aerodynamicist colleagues could figure it out either. Even the engineers at NASA’s research center in Langley, Virginia, were stumped. 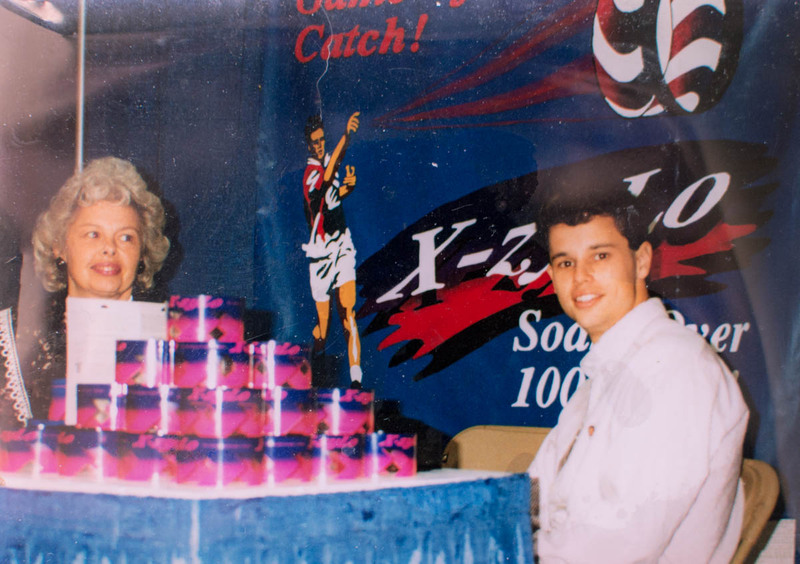 Mark filed a patent, formed a company with his father, and turned the X-zylo into a product. 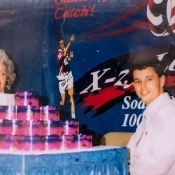 WMC introduced the X-zylo to the toy and hobby markets in 1992. 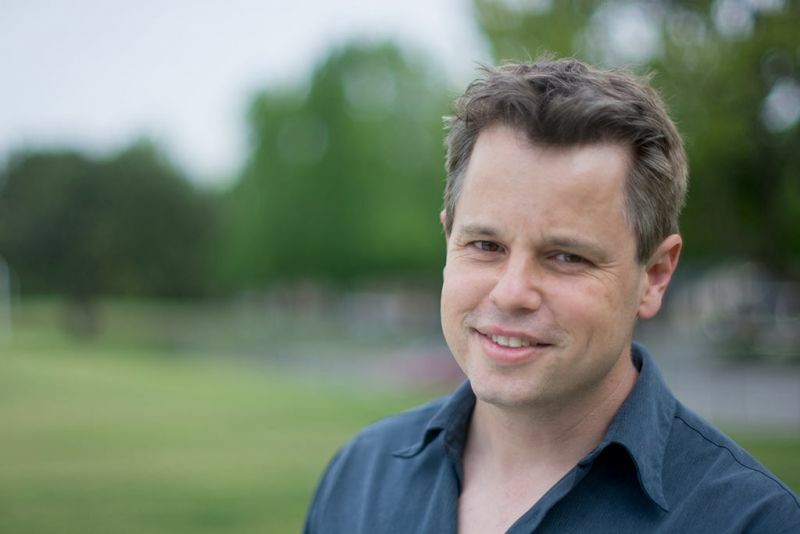 The product was an immediate worldwide success and a media sensation, featured on Regis and Kathie Lee, David Letterman, The New York Times, Success Magazine, and the Los Angeles Times, among others. X-zylo became a best-seller on the QVC shopping network. It also became a fad in Japan when professional baseball pitcher Dice-K Matsuzaka developed a secret pitch called the “gyroball” by practicing throwing the X-zylo. WMC built on the X-zylo’s success year after year by introducing more creative flying toys such as Hang Glider Jack, Air Burst Rocket System, X-Launcher, My Mystery UFO, and Flitter Fairies. 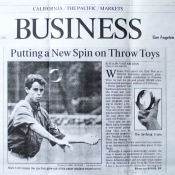 WMC’s inventions earned dozens of international awards, including Toy of the Year in Japan, the Smart Toy Award, Pat Summerall’s Champions of Industry Award, QVC 50/50 Award, Premier Print Award, People’s Play Award, Best New Product of the New York Toy Fair, and Best New Product of the Kite Trade Association. 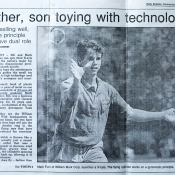 WMC became well known throughout the toy industry for its unique products, dynamic product videos and theatrical trade show presentations. 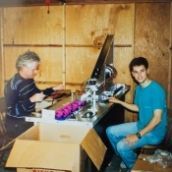 While working on the Flitter Fairies, Mark teamed up with engineer Blake English and designer Camille Miller to bring the fairies to life. They authored the fantasy novel Slightly Above Time to enrich the Flitter Fairies line. 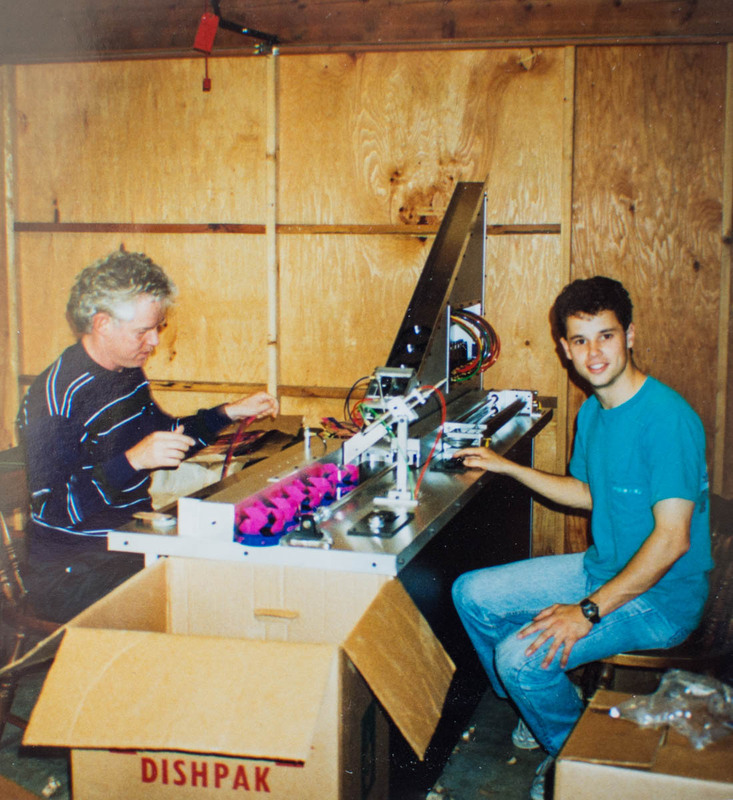 In a strange case of history repeating itself, Blake invented a toy for his product development class at Stanford University just as Mark had done years earlier (and Blake also received an “A” for his project). 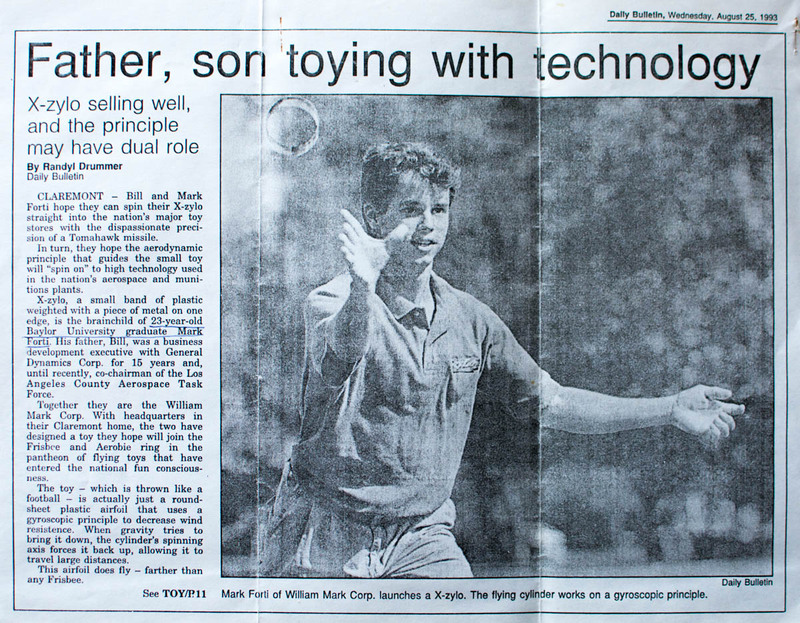 Blake pitched the prototype to Mark, and two years later WMC launched the Air Swimmers line of remote control flying fish. Add a viral YouTube video with over 12 million hits, and Air Swimmers became a worldwide sensation! Air Swimmers were featured on television by David Letterman, Jay Leno, Jeopardy, Jimmy Fallon, Dancing with the Stars, and Jonathan Ross and online by Tosh.0, Vsauce and Jenna Marbles. Blake won the 2011 TAGIE toy inventors’ award, and the product won the 2012 Gift of the Year Award. A whole line of Air Swimmers followed the original shark and clownfish, including a bass and licensed Angry Birds products. In 2016, WMC launched Mark Forti’s latest invention called Feisty Pets – a line of interactive plush animals that change from cute to ferociously funny when the head is squeezed. The Feisty Pets became a social media phenomenon among tweens, teens and even adults. Feisty Pets videos racked up over 30 million views in only a few weeks on YouTube and Facebook. Buzzfeed rated Feisty Pets as the best Christmas toy. On Amazon, Feisty Pets was the top selling plush toy on Cyber Monday and the third best-selling product in the toy category. In 2017, Feisty Pets continued to explode in social media as videos received over 250 million views on YouTube and Facebook. Feisty Pets also became the second most often searched toy on eBay and reached the 21st highest bursting key word in all categories. In May 2017, Forti launched the wildly popular “Feisty Films” YouTube series, which showcases the adventures of the Feisty Pets Gang. Feisty Films quickly accumulated more than 35 million views and established a collectors community. The line expanded to include dozens of characters and more facial expressions ranging from a sarcastic grin to a dumb-looking “doofus”. Feisty Pets again topped Amazon’s best-seller lists on Prime Day and Cyber Monday in 2017. The Feisty Pets world continued to expand into plastic figures, blind box programs, backpacks, Halloween costumes, and an entire world of characters and expressions.